Is the Live Tube Kodi addon safe, is it legal? Interested in watching live YouTube videos with Kodi? This article will examine the Live Tube Kodi addon, its content, and its legality and how to install it. The official YouTube addon allows you to view live streams but unless you know what to search for, it can be difficult to find something specific. The Live Tube addon only shows videos that are currently live on YouTube and subdivides these by genre to make browsing as simple as possible. Kodi is a free media center software package that has become very popular due to its high level of customizability. Kodi can be installed on almost any popular device including Amazon Fire Sticks, Android tablets, and Apple TV. This portability makes it excellent for setting up advanced home theater systems on a low budget. Also, Kodi preserves most of its functionality on mobile platforms. This means you get a consistent experience regardless of which device you’re using. Kodi doesn’t include any content of its own. There are two methods for finding media.. The first is to import video or audio files from your device’s local storage. This works well on desktop computers because they generally have large amounts of storage space. For mobile devices,however, video files can quickly consume all of the free space.. The second option is to install plugins called addons that scrape links to content hosted online. These take up far less space on the device itself but require an internet connection to use. Some people connect to virtual private networks (VPNs) to hide unauthorized streaming from their internet service provider (ISP). Despite this, VPNs come with many advantages that can greatly benefit even those that only stream from official sources. Because a VPN encrypts your internet traffic, it can’t be read by any outside observer. This prevents the majority of Man-in-the-Middle (MitM) attacks and also stops your ISP from selling your browsing habits to third parties. Because your ISP can’t tell what you’re doing, they can’t use your activities to justify throttling your network speeds. Not every VPN is equal, though. In the past, some VPNs have been caught infecting their user’s devices with malware, selling their user’s bandwidth, and creating botnets. Additionally, it’s possible that the VPN you choose will simply slow your network down until it’s almost unusable for streaming. We recommend IPVanish. It provides fast, stable connections to servers across the world and maintains them itself for faster problem resolution. IPVanish is one of the easiest VPNs to install on multiple platforms because it has dedicated apps for Android, iOS, and Amazon Fire TV devices. STREAM SAFELY ON KODI:IPVanish is lightweight, fast, and secure, meaning it’s ideal for Kodi. 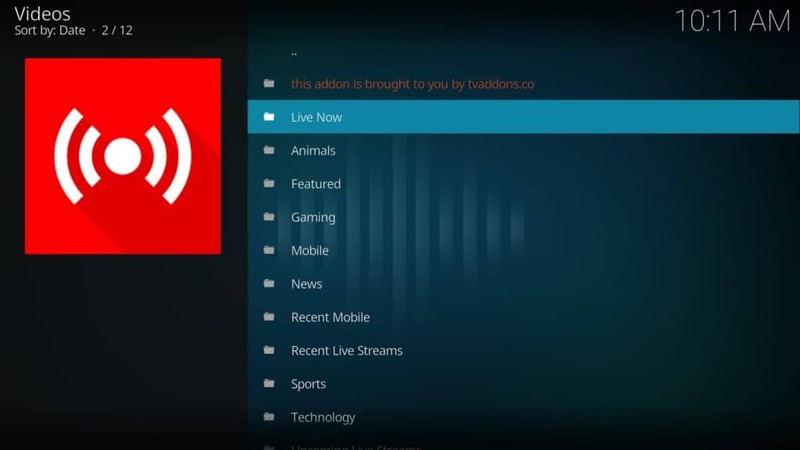 What is the Live Tube Kodi addon? The Live Tube Kodi addon makes it easier to find and watch live streaming YouTube content. Its main advantage over the official YouTube addon is that it also shows past and upcoming live streams. Not every currently live video is available — the Live Tube addon only pulls streams from the YouTube Live channel. This ensures that streams featuring unlicensed content will not show up in the Live Tube addon. Live Tube is very simple to use. It has just two configurable options; one changes the number of results per page while the other lets you set the minimum percentage before a video can be marked as watched. The menu structure is clean and concise. Users can choose to view a selection of currently broadcasting streams or select one of nine categories to refine these results further. There is, unfortunately, no way to search for something specific. Given the proclivity for streamers to use non-English characters in their video titles, this feature may not be particularly useful. You can use Kodi’s built-in search function by clicking the gear icon in the bottom left and selecting Search. This will have to be done on each page of results, however. Click the gear icon on the top-left of Kodi’s main page. Next, click System settings and highlight the Add-ons tab on the left. Move over to the list on the right and click the Unknown sources option. You’ll be asked to confirm the change so click Yes. Move back to the previous screen. This time, choose the File manager option. You’ll see a list of all the sources you’ve added. Scroll to the bottom of the list and click Add source. In the address box, enter the following without quotation marks “http://fusion.tvaddons.co”. Give the source a name and click the Ok button. Return to Kodi’s main page and click the Add-ons tab. Click the box icon in the top-left and select Install from zip file on the following page. 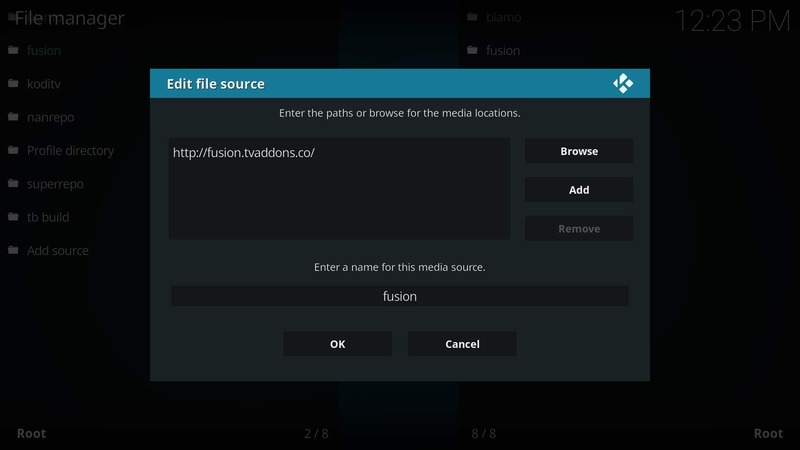 Find the source you just added and choose kodi-repos, then english, then repository.xbmchub-3.0.0.zip. Kodi will then install the TVAddons repo. If everything installs correctly, you’ll see a popup in the top-right and be returned to the Add-on Browser screen. This time, choose Install from repository. You’ll see the TVADDONS.CO Addons repository. Enter it and choose Video add-ons. When you find the Live Tube addon, select it and click the Install button on the next page. You’ll notice that this addon also installs the official YouTube addon. Generally, we warn against addons that require other addons to function but since the YouTube addon is in the official Kodi repo, there’s very little risk. The first time you try to watch anything with the Live Tube addon, you’ll be asked if you’d like to configure it. This allows you to change your preferred language and region, after which you can watch live videos to your heart’s content. 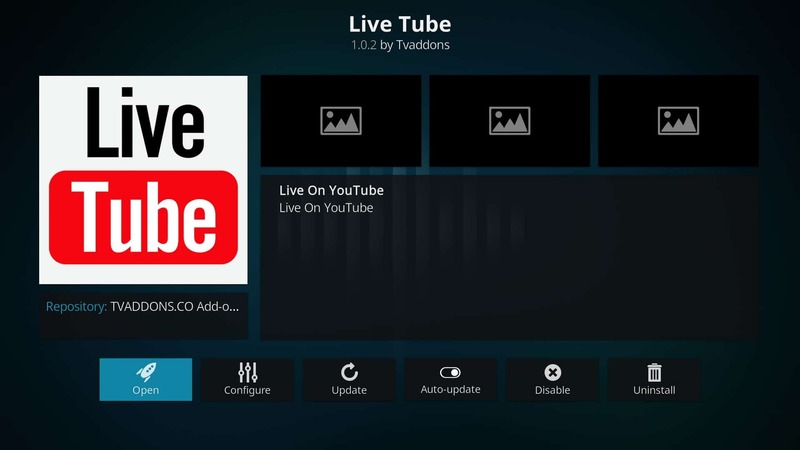 The Live Tube Kodi addon provides an easier way to watch live YouTube videos. Kodi has far more to offer than just YouTube, however. We can help you find the best addons for watching movies and sports (including Super Bowl LII). Having trouble getting Kodi to work? You might be interested in our guides to fixing Kodi’s most common problems, updating Kodi on Amazon Fire Stick, or reducing the amount of buffering Kodi does. 3 What is the Live Tube Kodi addon?